The Stratocore solution was born in 2003 at the Institut Pasteur (Paris). A number of core facilities, or research platforms, were seeking a better way to schedule and otherwise manage their shared research infrastructures, and no solution existed at the time. An academic project commenced to develop a core facility management software solution, and the so-called Pasteur Platform Management System, or PPMS, began to emerge via close collaboration between core facility directors and users, software developers, and key institutional stakeholders. In 2006, an academic collaboration to further develop the solution was formed with The Rockefeller University (New York), and over the next five years, a multi-institutional academic collaboration developed, spanning four continents and over 20 research organizations. During this period, the solution evolved and improved as the addition of features accelerated, and the solution’s underlying flexibility was tested across diverse institutions and their core facilities. In 2011, Stratocore SAS was formed in France (along with a US subsidiary, Stratocore Inc) to commercialize the solution and allow its continued development and service to research organizations internationally.  Since commercialization, the Stratocore solution and its integrated support services have continued to strengthen, and the company has grown its global client base to over 130 research institutions. Stratocore remains privately held, primarily by its founding employees.